For Orlando area patients who require a denture or are unsatisfied with their current conventional prostheses, Renato J.
Nobel Biocare All-on-4® Hybrid Dentures. Dr. Aves can use this advanced implant placement technique to securely fix your complete overdentures with just four strategically placed implants per arch. Bar-Retained Dentures. This type of denture involves implants attached to a set of metal bars, onto which Dr. Aves places the denture. Ball-Retained Dentures. This form of denture uses a ball and socket or stud abutment to stably hold a set of artificial teeth in place. At your FREE initial consultation, Dr. Aves will explain your options in further detail and help you choose which type of implant supported denture is most appropriate for your needs and preferences. Currently have a conventional denture and are displeased with its appearance, function, or fit. Are missing a large portion or the entirety of your teeth. Do not currently suffer from tooth decay or gum disease. Dr. Aves can help you treat these conditions before beginning the implant placement and restoration process. Have sufficient bone tissue to hold dental implants. 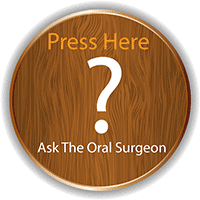 If you do not, Dr. Aves can perform bone grafting procedures such as a sinus lift or ridge augmentation. Are in good general health, without any cardiovascular disease, immune system disorders, or other conditions that could compromise your healing. At your initial consultation, Dr. Aves will assess your mouth, review your medical records, and discuss your concerns with you to determine if you are a good candidate for implant supported dentures. To learn more about implant supported dentures that are appropriate for your oral health circumstances, call Central Florida Institute of Oral Surgery and Dental Implants to schedule a complimentary initial consultation with Dr. Juan Aves in our convenient Winter Park, FL office.